The IBPS RRB Office Assistant Exam concluded today, November 19. The IBPS RRB result 2016 will be announced soon on its official website ibps.in. It was conducted last weekend (Nov. 12 & 13) and this Saturday. The candidates should note that IBPS RRB Mains exam will take place on December 18 this year. The confirmed date will be circulated at the earliest. The prelims examination was objective in nature. There was a total of 80 questions asked in the question paper for which one mark was granted for each correct answer. The preliminary and Mains examinations are always conducted in both English and Hindi languages. The result will be published online on ibps.in under the link stating IBPS RRB Office Assistant result 2016. The candidates who appeared will need to enter the registration number to check their results. Only qualified candidates will proceed to the next level of exam. The results are expected to be declared by the end of the first week of December 2016. Aspirants were required to do a maximum number of questions. The provisional allotment will be done in the month of February 2017, next year. The recruitment process is done to recruit as many as 16,560 office assistants in four different posts. 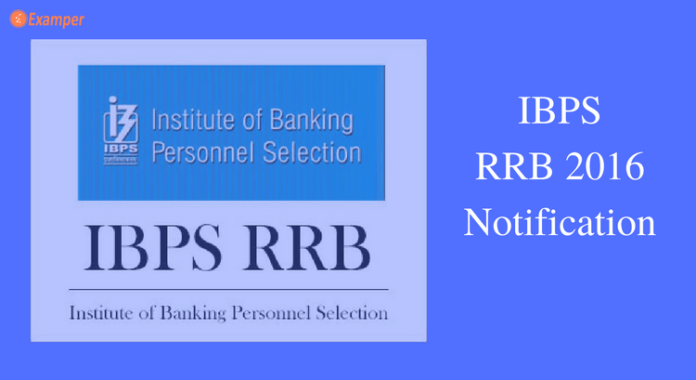 The result of IBPS RRB Prelims exam for the post of Officers Scale I was published on Nov. 15. For the post of Office Assistant (Multipurpose) will be announced by the end of November 2016. The prelims paper contained 80 questions of one mark each which the aspirants had to do in a time frame of 45 minutes. It was evenly divided into two sections. The level of difficulty was moderate to difficult. IBPS conducted one more edition of CWEs for POs/MITs, Clerk, and Specialist Officers for PSBs and Office Assistant and Officers in Scale 1, 2, and 3 for RRBs. The results of the respective examinations will be declared in time. The entire recruitment process is online it may be the payment of the fee, examination, or anything else like making applications, downloading admit cards, call letters, etc.